Zurqieh -Aa8813- Nabataean. 2Nd Century A.d Bronze Pendant. Probably Tyche?! Popularity - 306 views, 0.6 views per day, 544 days on eBay. Super high amount of views. 1 sold, 0 available. 306 views, 0.6 views per day, 544 days on eBay. Super high amount of views. 1 sold, 0 available. Seller - 8,404+ items sold. 0.1% negative feedback. Great seller with very good positive feedback and over 50 ratings. 8,404+ items sold. 0.1% negative feedback. Great seller with very good positive feedback and over 50 ratings. Zurqieh -Aa8815- Nabataean. 2Nd Century A.d Bronze Pendant. 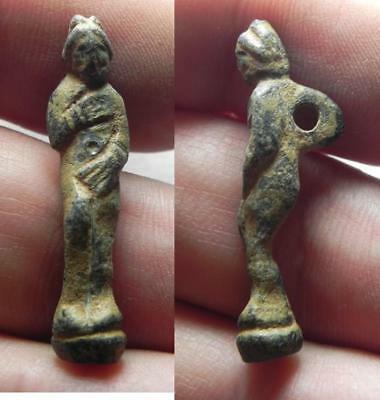 Probably Tyche?! Zurqieh -Aa8814- Nabataean. 2Nd Century A.d Bronze Pendant. 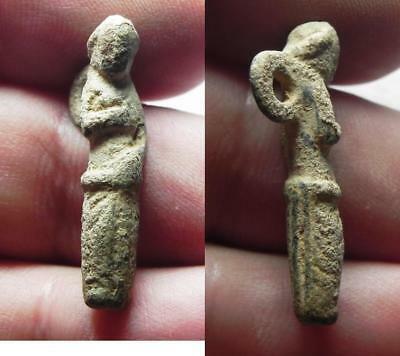 Probably Tyche? !